In January, Riya's mother Moon Moon Sen told Times Of India that her daughter was 'high-maintenance' and that looks were important. "Raima likes tall and witty guys, while good looks matter the most to Riya. Money is not important for them as they don't realize its value. But both my girls are high-maintenance, so they need to find boys who are rich, if nothing else," Times Of India quoted the 63-year-old actress as saying. Riya Sen's dating history includes actors John Abraham and Ashmit Patel. Riya Sen, who is the younger of the two sisters, belongs to a hallowed gene pool - her grandmother was Bengali screen legend Suchitra Sen. Riya first appeared as a child artist in 1991 film Vishkanya. At the age of 19, she featured in National Award-winning director Bharathiraja's Tamil film Taj Mahal which failed to impress the audience. Riya's best-known Bollywood performances are in the films Style, Jhankaar Beats and Apna Sapna Money Money. Her resume includes appearances in well-received Bengali films such as Noukadubi and Jaatishwar. 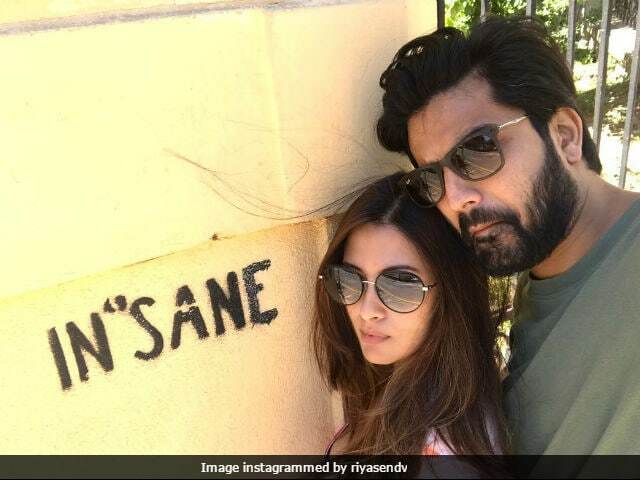 Riya Sen last featured in the short film Lonely Girl - A Psychological Thriller and is currently busy filming Ekta Kapoor's web-series, which is produced by her ALTBalaji wing.